When you shop at the online Lego store, you get great selection and availability. Plus with Lego Shop coupons, promotion codes, and discount deals, you can also save some money. We’ll also point you to sale and deals, because when they have limited time holiday products, they often clearance those seasonal sets out for really cheap. Why do geeks love LEGOS? It may have something to do with the ability to construct new worlds from scratch and explore feats of engineering on a microscale. It could be because LEGOS are just plain fun. You certainly don’t have to be a kid to enjoying building with LEGOS and collecting LEGO sets. Whether you have a child who loves LEGOS or you yourself are simply a kid at heart, the LEGO store at shop.lego.com will furnish you with every LEGO product your heart could desire. Shop the LEGO store by theme, category, age, or catalog number. Use the site’s search engine to find just the set you’re looking for. Sci-fi and fantasy geeks will appreciate the Star Wars, Alien Conquest, and Harry Potter sets, but there are scores of possibilities from which to choose. Find everything from duplo LEGOs for the little ones to architecture sets that will let you build Rockefeller Center. In addition to LEGO sets, the site retails LEGO-based video games for the Xbox, Nintendo Wii, PS3, and PC (both Windows and Mac). Web games are also available. 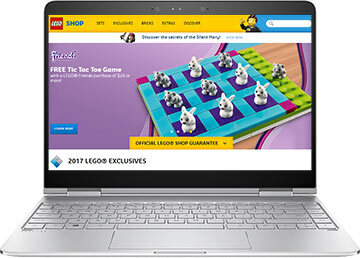 Whether you’re interested in action, strategy, adventure, or creative games, shop.lego.com has something for you. They even have educational preschool games for your kids. You’ll also find movies, LEGO apparel (from T-Shirts and wallets to umbrellas and shoulder bags), stationary, and household accessories such as building tables, LEGO clocks, and storage cases. LEGO aficionados will appreciate that shop.lego.com is more than just a place to shop. It’s a site where you can visit galleries to get creative ideas from other LEGO builders and share your love for LEGOS on discussion boards. You can even download pictures of models.